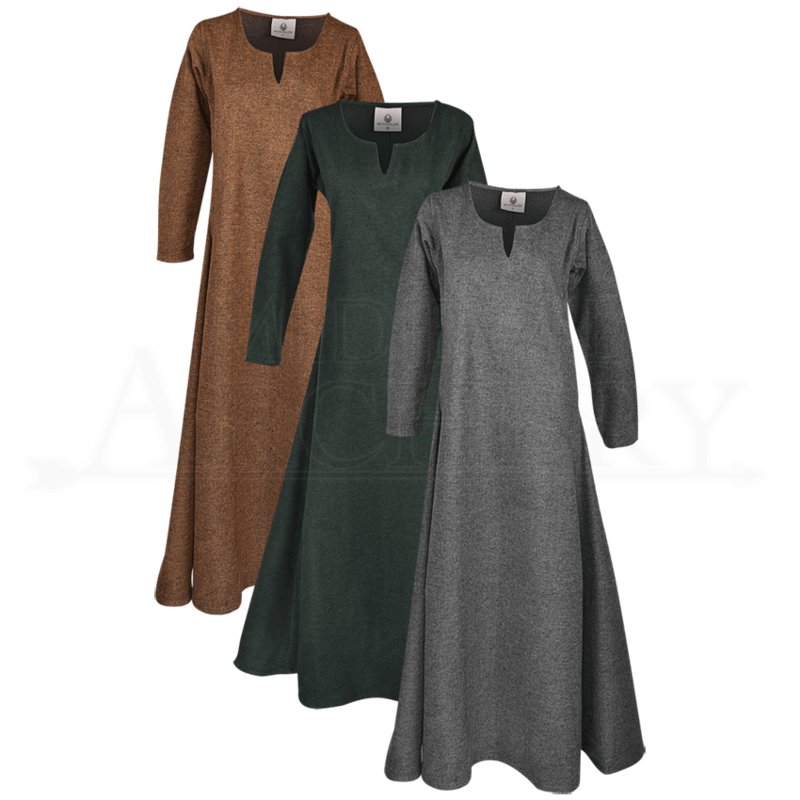 For cooler mornings at the medieval market or autumn-time Ren faires, wear the Wilma Wool Dress. This long sleeve reenactment dress is made of wool that has a special double-sided flat weave for a more comfortable feeling on the skin. The V-shaped cut-out at the front of the round neckline adds suitably historic flair to its traditional A-line shape. This classic structure suits a variety of characters and eras, whether your persona hails from the realms of fantasy or long-ago history. Wear this versatile wool gown as the warm underlayer of your winter ensemble, or accessorize it simply with your favorite hood, belt, and pouch for look that is both easy to wear and authentic in its appeal. Copyright © 2019 Medieval Archery. All rights reserved.